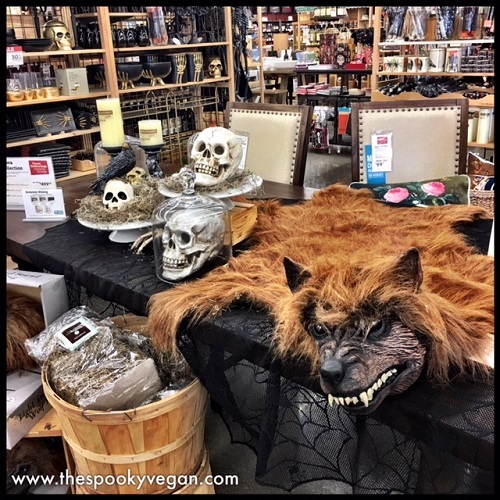 Werewolf rug that growls and howls! 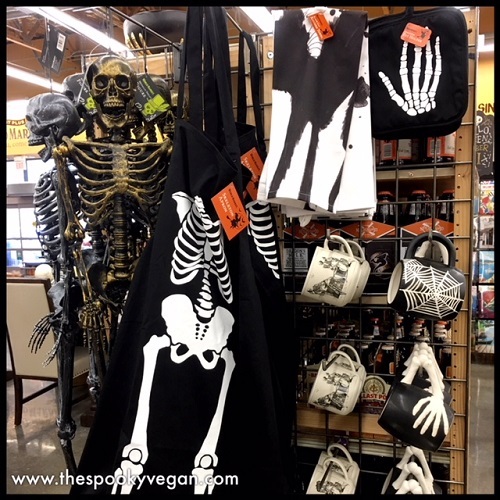 bag for work and I love it so much! 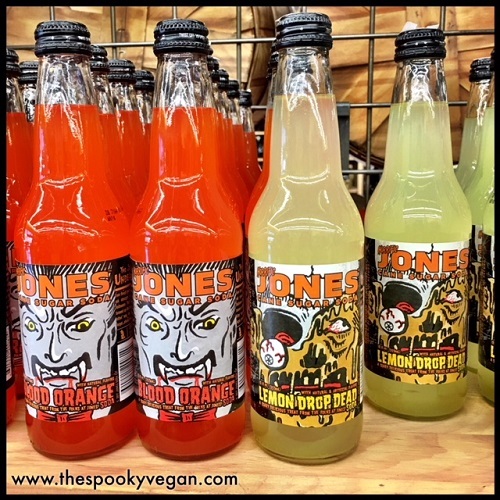 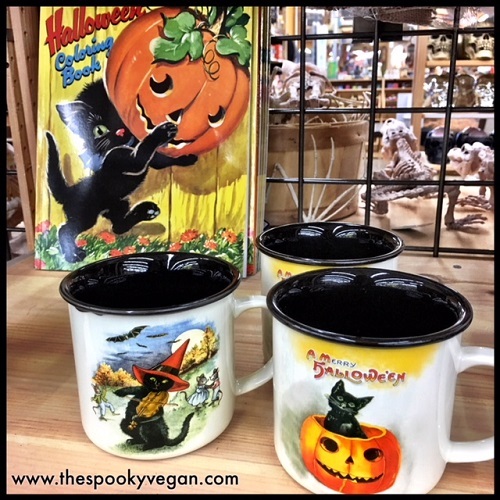 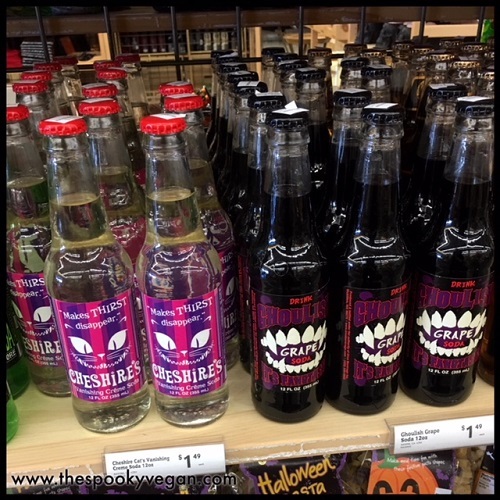 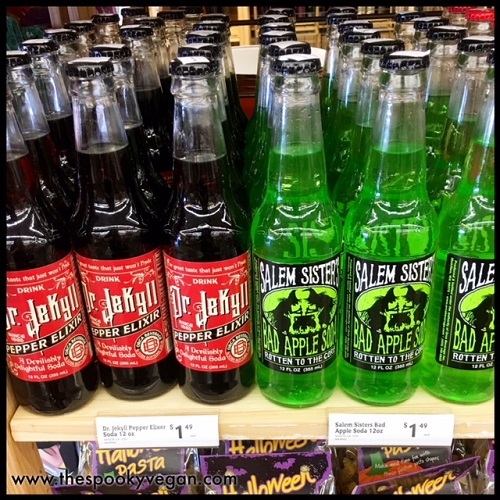 So many yummy Halloween sodas and all the ones pictured here are vegan! 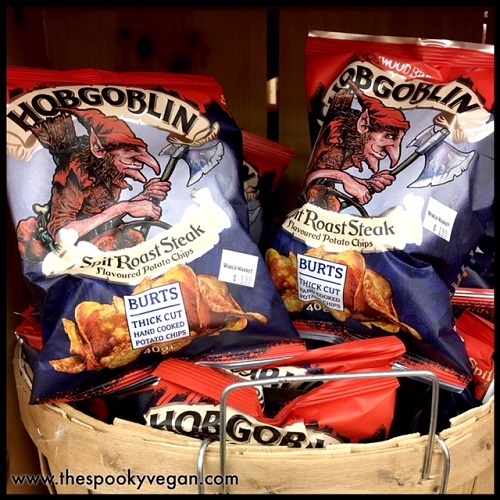 little snacks to work with me! 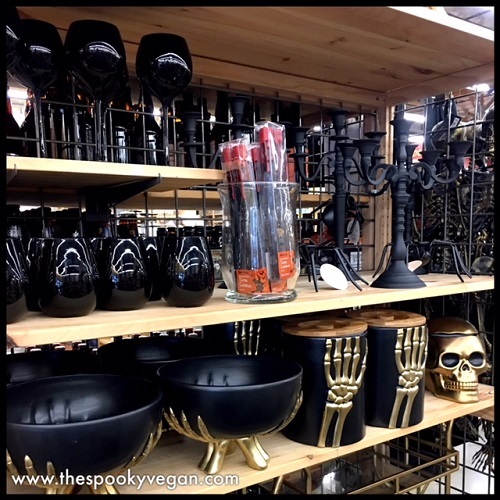 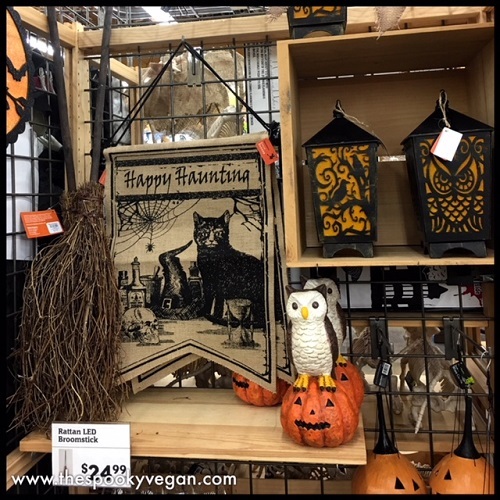 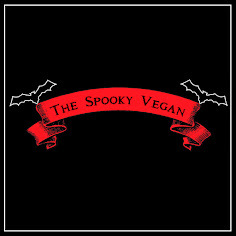 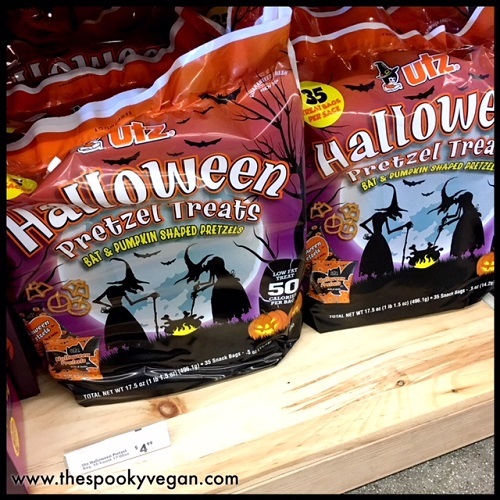 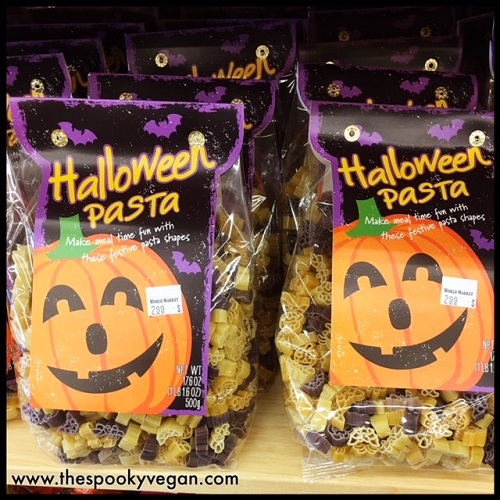 Another staple I buy from World Market every year - vegan Halloween pasta! 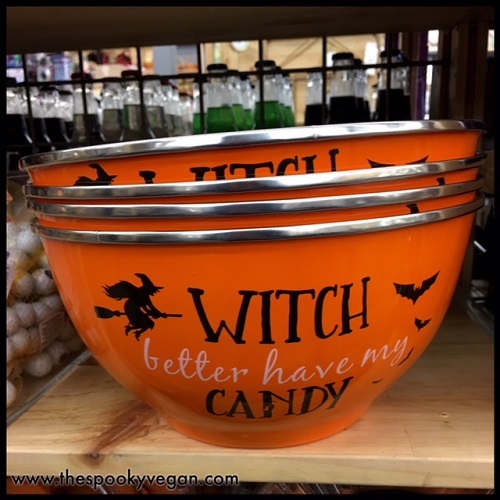 right on the package, score! 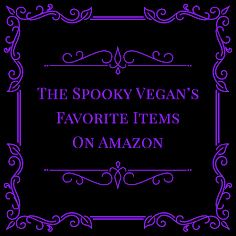 They are really tasty, too! 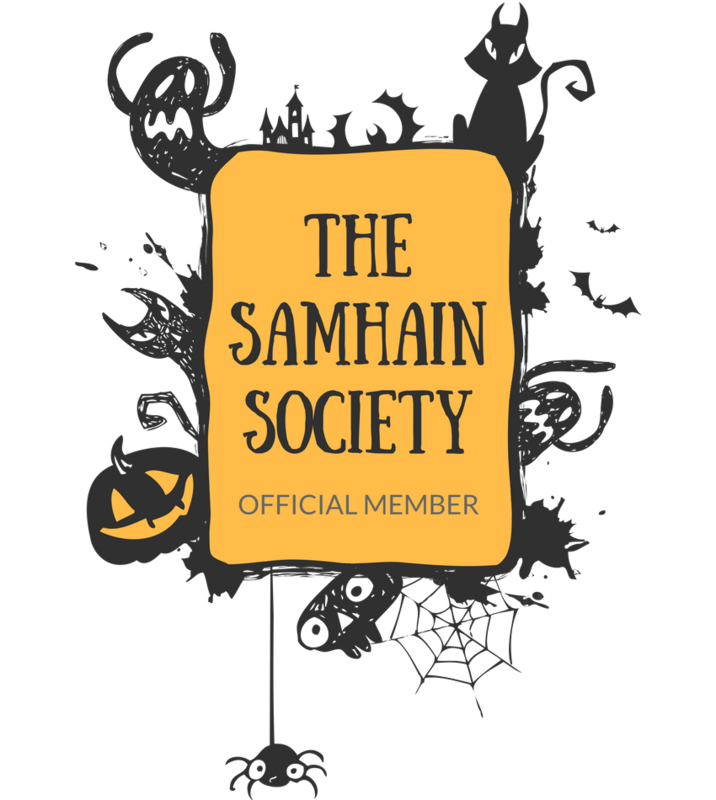 Digging the classy gold and black colors this year! 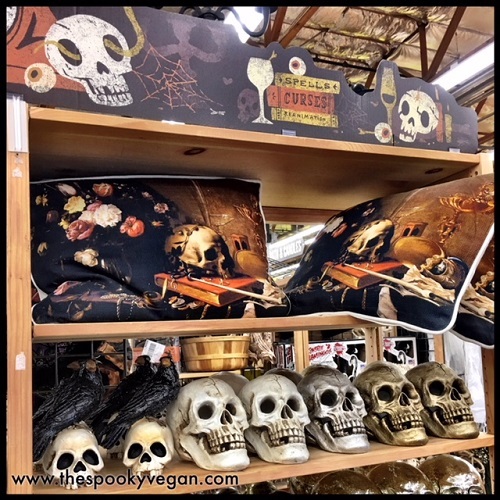 Look at those boo-tiful pillows! 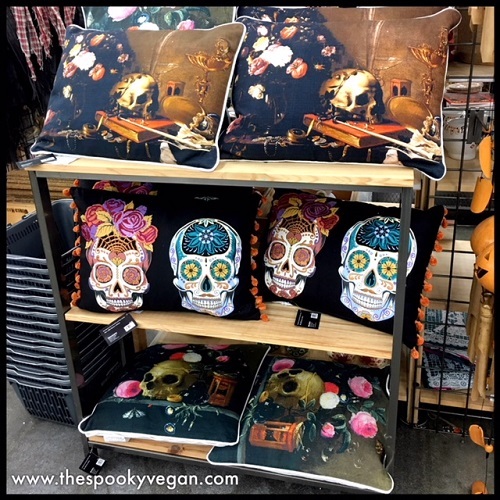 They had some fun Dia de los Muertos decor, too! 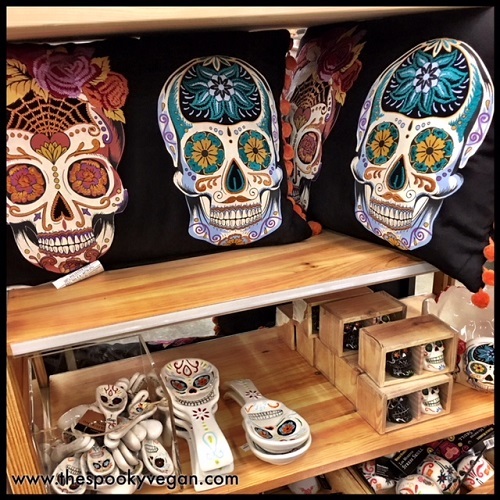 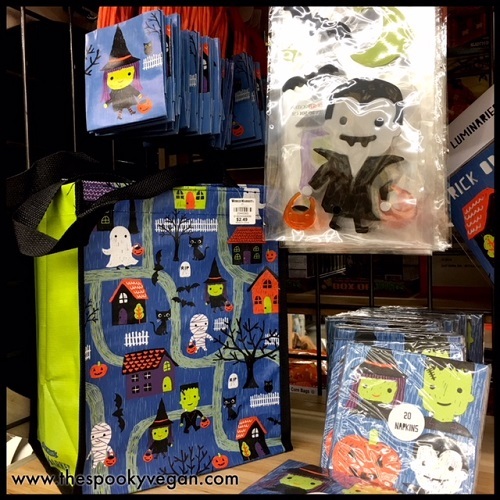 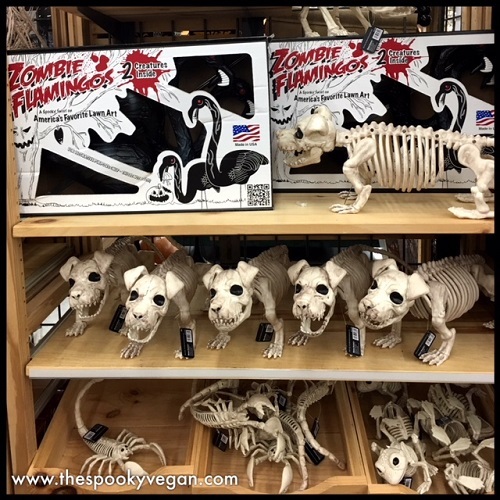 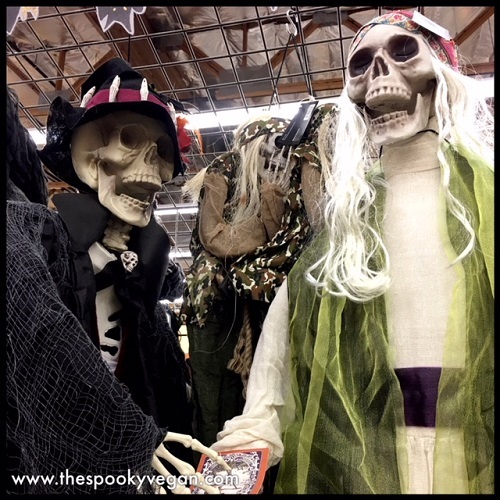 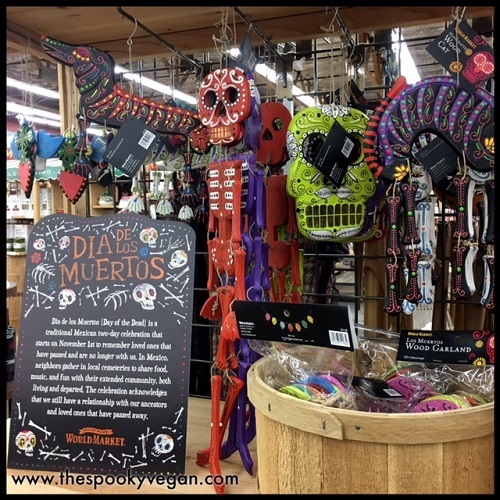 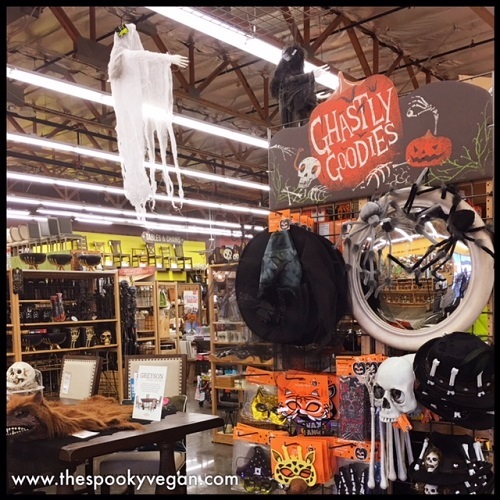 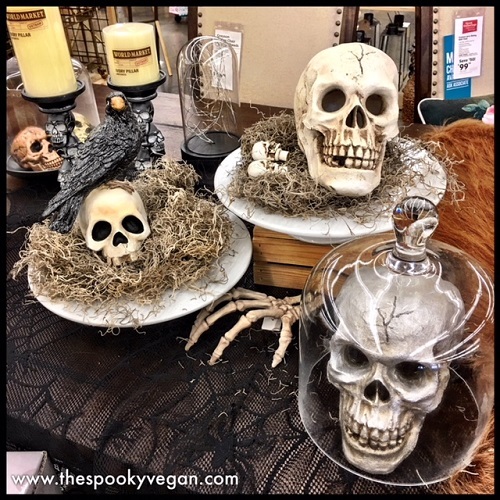 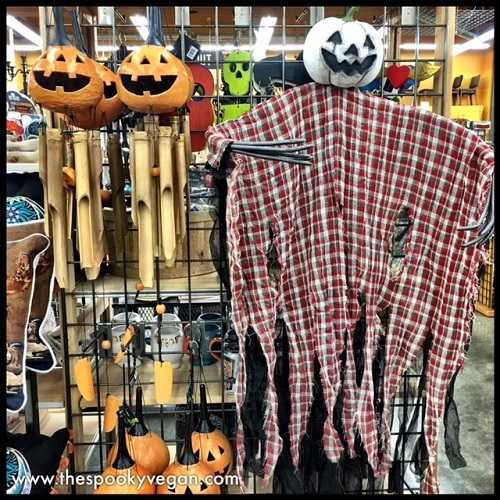 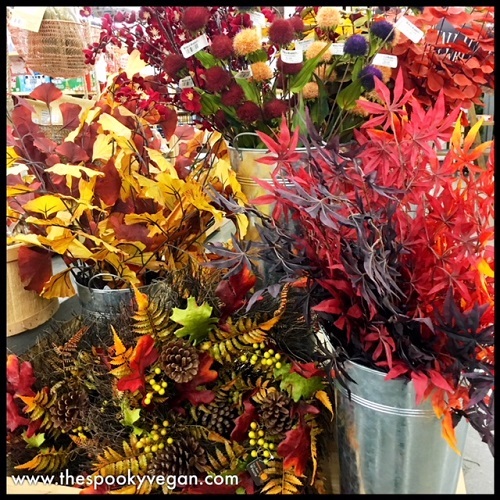 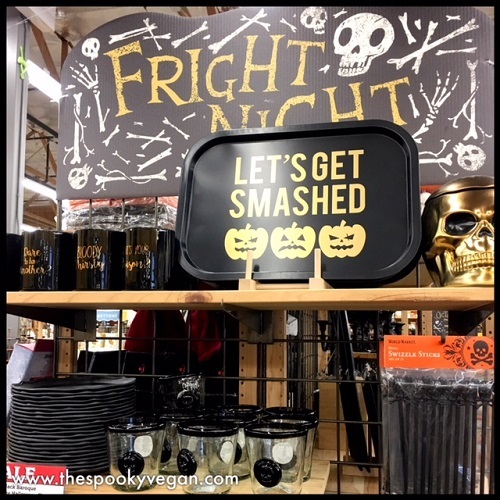 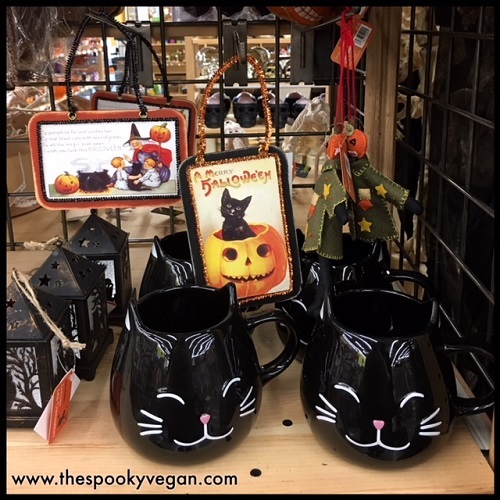 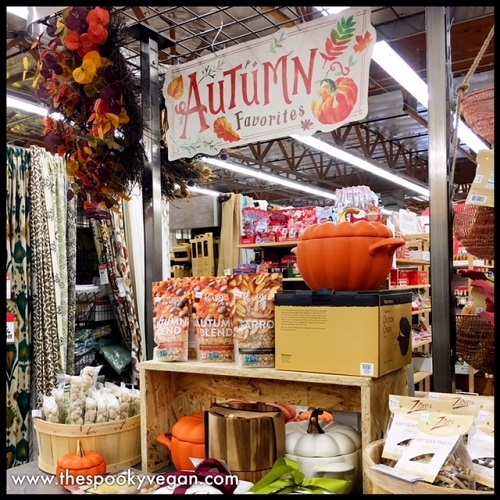 Have you visited Cost Plus World Market for Halloween goodies this year? 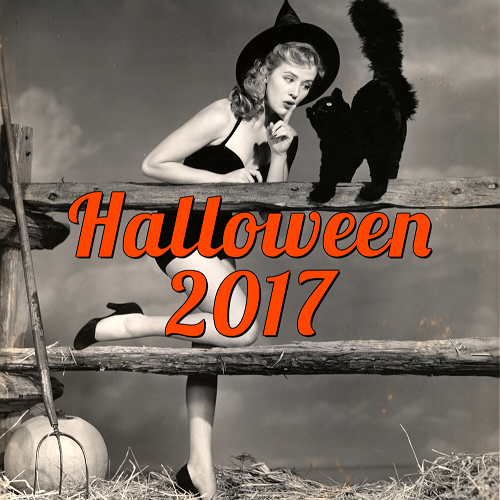 What are your favorites from the photos above?